A flurry of pictorial posts showing under the hashtag 'MustSeeIran' of ancient buildings and long-standing cultural traditions in Iran soon turned into an opposing stream of posts depicting a rather less picturesque reality under the Islamic regime. A hashtag aiming to promote Iran’s historic attractions on Twitter and Facebook has turned into a subject of contest as rights activists began using it to highlight the Islamic Republic’s human rights abuses. 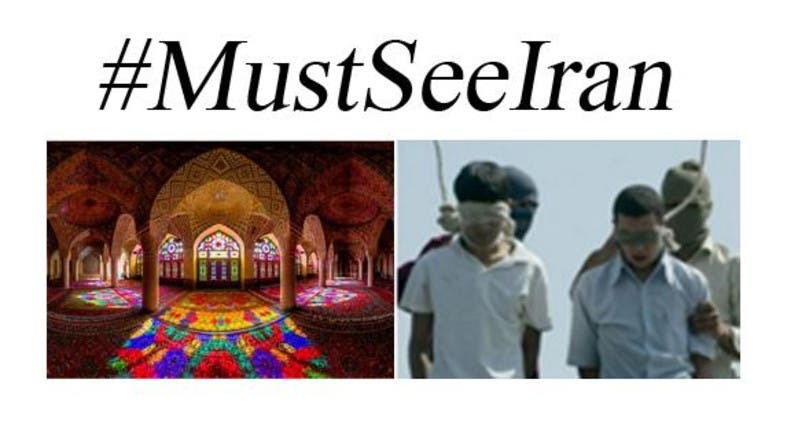 The #MustSeeIran campaign reportedly started last week when a picture of Nasir al-Mulk Mosque, located in the city of Shiraz, was shared with the hashtag on Twitter. The post was re-tweeted several times afterwards with different pictures of other Iranian monuments, such as the Prince's Garden in Kerman and the Isfahan's Imam Mosque. Even Iran’s state’s Mehr News Agency joined the campaign, using its official Twitter page to promote the hashtag along with images of opulent Islamic architecture. 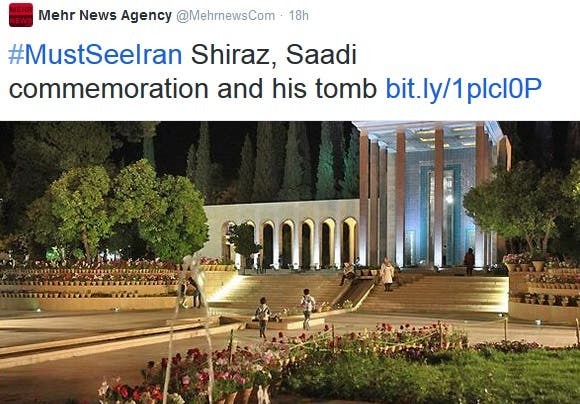 “#MustSeeIran Shiraz, Saadi commemoration and his tomb,” said one Tweet by Mehr. ‘#MustSeeIran Maraveh Tappeh; magnificent beauty of #Iran,” said another Tweet. Since its creation on Sunday, the page has gained over 6,000 followers. 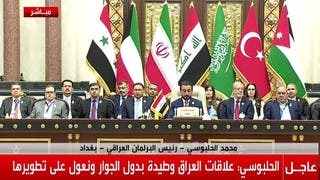 But the flurry of pictorial posts showing ancient buildings and long-standing cultural traditions in Iran soon turned into an opposing stream of posts depicting a rather less picturesque reality under the Islamic regime. “In iran, you cannot wear what you want,” wrote one user under the "#MustSeeIran” hashtag, posting a picture of a lady being accosted by authorities for her choice of clothing. “Iran Guards raided Ward 350 of the prison &battered,insulted ,humiliated political prisoners,” read another, in reference to alleged abuses suffered by inmates of the capital Tehran’s Evin Prison. 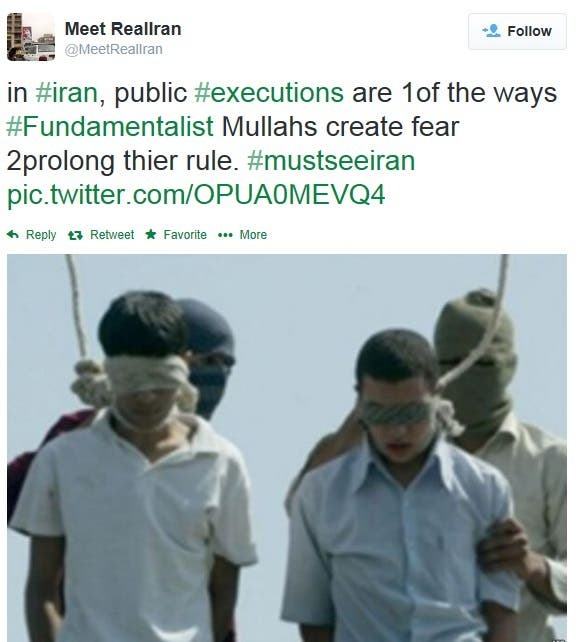 “4 Iran'ian Christians were reportedly sentenced to 80 lashes for drinking wine 4communion,” another Twitter user said. 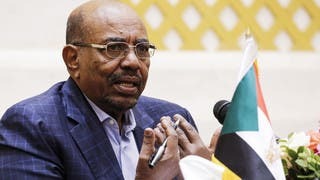 Although many in Iran had hoped for more humane system after moderate President Hassan Rowhani came to power in June last year, numerous human rights reports suggest that a very large amount of state-sponsored political and social abuse still remains.